Scope: ACAC is an annual meeting in Athens aiming to bring together researchers working in all areas of the theory of algorithms and computational complexity. It serves as a lively forum for presenting research results that are in a preliminary stage or have been recently accepted / presented in some major conference. The abstracts of the papers that will be presented will be available in informal proceeding. The language of the workshop is English. Contributions: Participants interested in giving a presentation should register, providing a tentative title and a short abstract, no later than August 1st. The organizers will make every possible effort so that all interested participants present their work (subject to scheduling constraints). Organizing Committee: Dimitris Fotakis, Elias Koutsoupias, Evangelos Markakis, Ioannis Milis, Aris Pagourtzis, Stathis Zachos, Vassilis Zissimopoulos, Martha Sideri, Evripidis Markou. Local Arrangements: Evangelos Markakis, Ioannis Milis, Martha Sideri, Georgios Zois, Thomaida Tzovara. 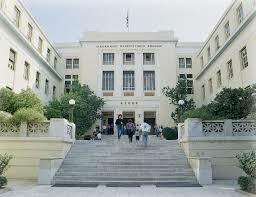 Acknowledgements: ACAC 2013 supported by the Athens University of Economics and Business, Department of Informatics of AUEB and by European Union (European Social Fund-ESF) and Greek national funds through the Research Funding Program: THALES - ALGONOW. Change of room: ACAC will take place at classroom D11 across from Derigny Amphitheatre. Registration extended until 29 July. Registration opened on May 5th. Copyright © 2013 | Website created using the template of CoReLab@ece.ntua.gr. All rights reserved.